Getting the right subject line for cold email is the difference between having your message seen and not seen. Writing cold emails is hard enough, right? But what if all your effort is wasted because people aren’t even opening your emails? Many people think of the subject line for cold email as an afterthought. Noooooooo! Nobody will click through to your website if they aren’t first opening the email. The question of cold email subject lines is something that every business owner has had to deal with at some point. Several business owners have laid out their experiences and advice across the web. Here’s the thing: it’s different for everyone. What works for me may not work for you. With that said, here are some best practices to consider when writing your subject line. Context is incredibly important when it comes to what works. For instance, at the LeadFuze office, we’ve found that a less personalized subject line has worked better than one that has even the company name in the subject. But if you’re coming from a local business meeting, you may want a highly personalized networking email subject line. Something like, It was nice to meet you at [XYZ event] Mr. Smith. Having said that, the tips today will be relatively useful to all. But remember to test everything and keep what works. Most email clients truncate subject lines after a certain number of characters, but if you’re anything like me, you don’t even read all the characters that are shown. Why would your prospects be any different? Keep your subject line as short as possible. Bryan Harris at Videofruit recommends 3 words or less. Most people send out cold emails that are so obviously marketing, it’s a wonder anyone opens them. Don’t be that guy. One thing that can help make an email look human is actually the lack of capitalized words. Think about it. If you’re writing a quick email to a friend, do you take the time to capitalize the subject? Probably not. Takeaway: Write your subject line like you are writing an email to someone you actually know. Before you email someone, you should have at least done enough research on the company to get the name of the person you are emailing. You may have even come across someone in your network who knows the prospect and can help give you a warm referral. Takeaway: Use your prospects name or company in the subject line if it makes sense. No one likes to be tricked into opening email (or snail mail) that looks like one thing and turns out to be another. Make sure your subject line is appealing, but relevant to the content of the email. Takeaway: Don’t bait and switch your prospect. Ok, so this last tip isn’t directly related to the subject line itself. That said, it’s incredibly important that you live up to your incredible subject line. There are so many one-liners and hacks online that, sure, they’ll get people to open up your message. But when they see it’s just a cold pitch to your company’s products/services—it’s like they never opened it. Let’s say you met someone at an event and you used our networking email subject line to peak their curiosity. What if they went into the email and found a warm genuine compliment along with a resource that you thought the person might enjoy? We’d put that up against a cold pitch any day of the week. He also recommends trying questions in the subject line and making it as specific as possible. Bryan similarly recommends using the company name along with a very short description of what’s inside the email. From my end, I have seen good success with simple subject lines such as “quick question” and “proofreading and editing”, i.e. a short description of my service. An often overlooked part of the subject line for cold email is the snippet. A snippet is the short length of text that is shown as a preview of the email content. When you are working on your cold emails, be sure to think about what your snippet might look like. Encourage your prospects to open the email by making it feel like it could be coming from a customer. The start of the email is another place to personalize the email and to show your prospect that you have done your homework, without being creepy. Open the email with a casual salutation, and use the prospect’s first name if you have it. It will take some experimenting to find the best subject line for cold email that will work for you. Even when you find a subject that’s working, remember your ABT’s — Always Be Testing. When you are first getting started with cold emails, you should try vastly different subject lines to get an idea of what direction you should go. Once you have some initial data, you can start refining a single type of subject line. Getting input from your prospects can be invaluable at this point. As you are sending your cold emails, think about touching base with your current clients, as well as any prospects who respond to your cold emails. Why did you open this email? What did you expect to find inside? Why did you feel this email was relevant to you? Why didn’t you just delete or archive it? 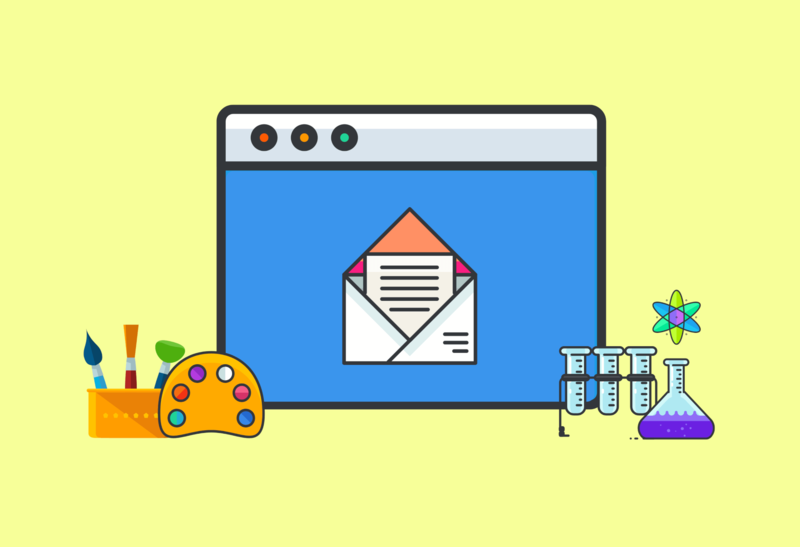 By getting the answers to these questions, you can craft better, more relevant subject lines and copy for your cold emails. Don’t let the subject line kill your cold email. Experiment with different types of subjects and refine once you have some data. Start with some tried-and-true subjects that others have found success with, but don’t be afraid to create your own variations. The cold email subject lines that work best for your outreach will vary depending on your business and your prospects. By continuously testing, you can make incremental improvements in your open and response rates. it’s interesting and very useful! thank you for sharing! Thanks for sharing such helpful information.